← Throw A Themed Holiday Party! 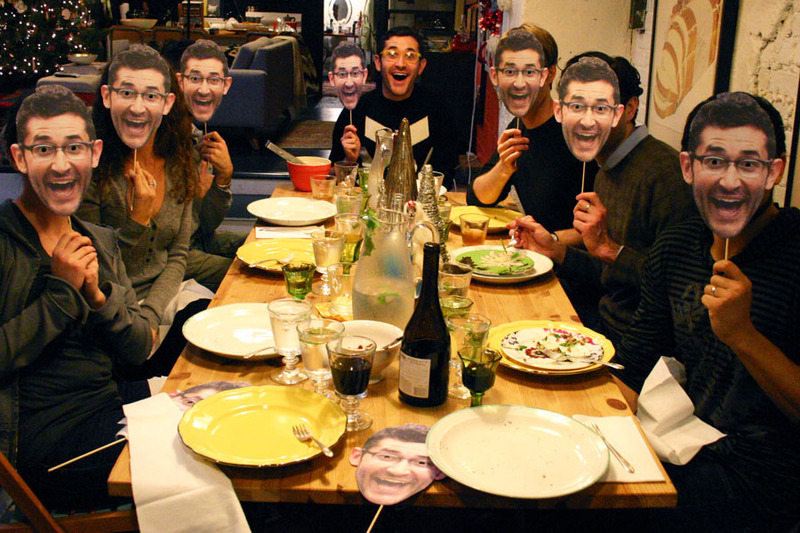 Whether you’re throwing a big surprise party, or just a small birthday dinner, whipping up these masks of the guest-of-honor will make for some unforgettable photos! I happened to have this great photo of my friend, Jeff, from our wedding. I enlarged it in full color on card stock and cut it out with an Exacto blade. Then, I simply taped some bamboo skewers I had from my kitchen onto the back and placed one on each place setting at his birthday dinner party table. It got me thinking…imagine walking into your own surprise party and seeing your shocked expression on 40 other faces…amazing! !